But for those who rely on CC Rider to commute to work out of the area, or pick up medication, or make it to a doctor's appointment, or to simply maintain some level of mobility independence, the transit system is critical — much in the same way public schools are critical for youth education or police services are a key component of public safety. tion can be their only source of mobility. In Columbia County, specifically, CC Rider is one of the only options available for recent high school graduates, especially those from low-income families, to gain access to higher education services at Portland Community College's Rock Creek campus. 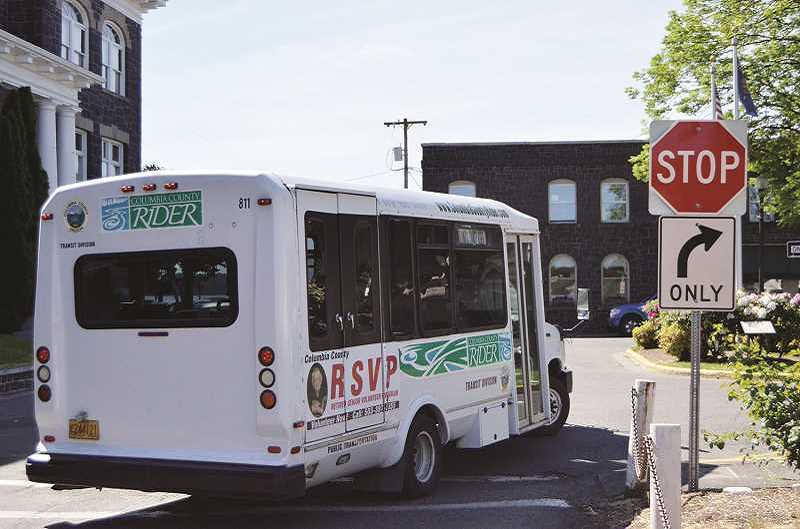 And for the many who work in nearby Portland, who would otherwise be skewered by exorbitant fuel and downtown parking costs, CC Rider services have been integral to their livelihood. Lincoln City and beyond, even to Benton County. There is huge value in it. Unfortunately, however, CC Rider is in a financial quagmire. The agency has subsisted on fares — which have little room for rate flexibility — inconsistent government grants, state transportation dollars and allocations from the county. Unlike nearby operations TriMet or Sunset Empire Transportation in Clatsop County, CC Rider has not had the benefit of a stable tax base, money that could be used to greater leverage state and federal grant dollars as well as to establish a financial foundation for all transit services to blossom. At this point service changes, especially the suspension of weekend service and cutting routes to Portland, seem to be a done deal. We appreciate transit director Todd Wood's frank assessment of the agency's finances and quick move to action. Wood was hired last spring and came from a background working at TriMet with the small-town experience of having lived in Damascus, and it's our sense he has a better feel of what CC Rider needs than any of his predecessors. Too often CC Rider bus routes have run empty, expensive passages to and from Portland. It makes sense those would stop. In fact, the optics of empty CC Rider buses likely squelched any chance the transit tax district proposal had of passage in 2016. Also, to that end, public education outreach about how CC Rider works and what the service means — and could mean — for the community has been woefully absent. Within that education vacuum, the likelihood a groundswell of support for CC Rider will erupt is thin. Detractors need to be shown a public transit system they can believe — and invest — in, much as the St. Helens community is now seeing the incredible benefit of new schools being built following the community's passage of a $49 million bond levy in 2016 — passage that followed many previous failed attempts. As Wood noted just a short few months after his hire, "We in Oregon are notorious for not liking to pay taxes at all ... when you have a growing community, some people don't have the luxury of owning an automobile. At some point, we ... have to recognize that being part of a community is providing for all of our members." The community investment, and the return of having a quality public transit system in Columbia County, are worth it.